Eyeland Optical has been serving Stroudsburg, PA since 1996. In twenty-one years of business, your eye care has remained at the top of our priorities. We offer eyeglass & contact lens examinations, inexpensive eyeglasses and sunglasses, as well as comprehensive medical examinations. Our opticians are committed to serving you and providing satisfaction and peace of mind, which is why we offer a 90 day exchange policy. In the event that you aren't happy with your new glasses, you can exchange them for another pair at no additional cost. Schedule your next eye exam today or just stop in! 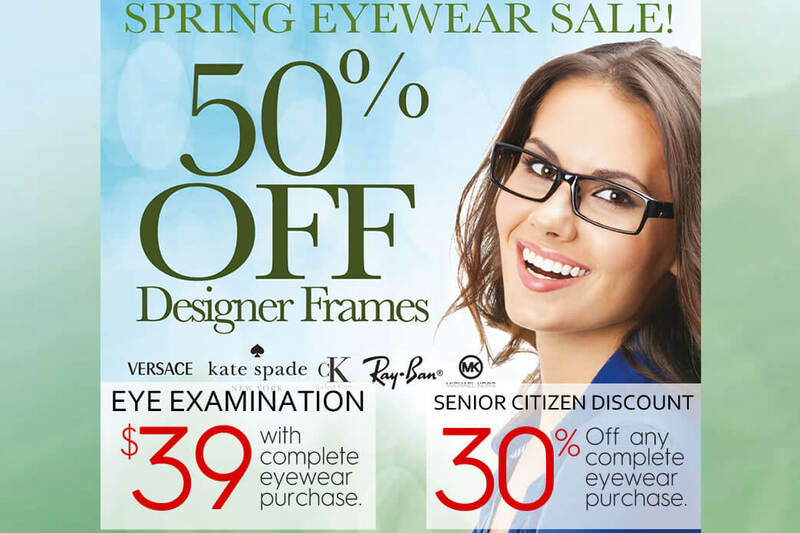 Licensed Opticians, Contact lenses available in store & online, name brand frames & price points accommodating all needs. If you’re looking for quality, selection and low prices on eyewear, contact lenses in-store or on-line; all with comprehensive vision health exam - you will see better for less at Eyeland Optical. Hours are subject to change, please call (570) 424-9988 for current hours. Davis Vision, Medicare, Advantica, Always Vision, Vision Advantage, Cigna, Highmark Blue Shield, Liberty Vision, Opticare, Unison, Aarp Vision Discounts and many more. Don't see your insurance? Call us at 800-553-5090. See what current Eyeland Optical Custumers have to say about our services! We have been purchasing our eyewear from Eyeland Optical for over fifteen years and we continue to return for their great service, good quality and low prices. The kind staff cared enough to help me and the optometrist made time for me even though I didn’t have an appointment. I can and will recommend Eyeland to others. Your optometrist was welcoming and took the time to answer all of my questions. Once a frame was selected I was advised that I could have my new glasses on the same day. To my wild amazement, I had my new glasses within 15 minutes! I could have done without my contacts and wore my eyeglasses, but Eyeland handled my order so quickly. In just a few days I had my new, special-order contacts lenses. You people are the best! Subscribe to our newsletter and be the first to know of Sales, Coupons and Specials! Copyright © 2016 Eyeland Optical Centers. All Rights Reserved.